In my last 2 years here in Germany I have met so many people who were really curious about how cricket was played. Some people said if it was like baseball or some people compared it with other similar games. Cricket is generally a game played between two teams on a roughly circular ground with 11 players playing from each team. However, there are many rules in the game but in layman terms every team has to get as many runs as they can on board and prevent the other team beating the score sety by the first team. From one team two players are batting and from other team 11 players are fielding and its works the same in case of the other team batting. Lately, there have been some new formats added to the game. Usually, there is one day cricket in which each team get to play for 50 overs (1 over is 6 balls). Also there is a test cricket format where teams play over the course of five days. Now recently, to make the game more interesting, Twenty20 also called T20 was introduced where each team just plays for 20 overs each which gives a lot of room for the players to play fast and in a more aggressive manner. Cricket is huge in India. I can surely say the insaneness one gets to see on the football field here in Germany is never any less on a cricket ground. 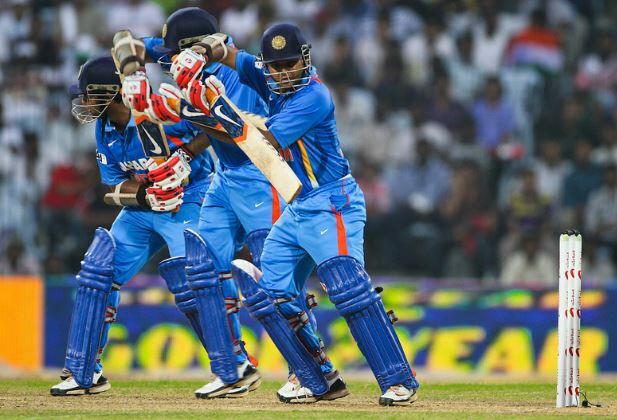 Cricket indeed plays a big role in the field of sports in India. With increasing popularity of the game and the players, cricket is now often chosen as a main hobby and also as a career option by many young teenagers. It’s not just the game but also related to fame as If one is doing well on the field would find a lot of companies asking him endorse their brands and so on. In India the training for cricket starts from school level only. Nowadays, there are special schools dedicated to just cricket, some run by current or former cricketers. Though, hockey is the national game of India cricket is now and has been taking the forefront in terms of the followers in India and also abroad.